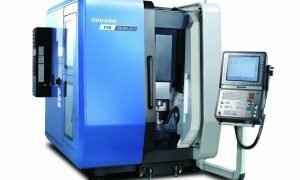 The VC 5 Axis machining center provides full 5 axis simultaneous machining capability. 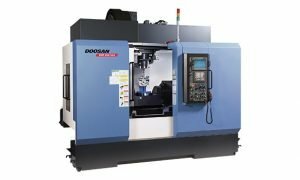 It’s highly rigid integral rotary/tilt table and high precision built in spindle provide the solution for both high speed and heavy duty machining of complex parts in one setting. 1.High rigidity machine structure: The high rigid structure designed by 3D simulation techniques and responsive axis feed system provide world class precision machining capability. 2. Built-in spindle: The high performance builtin spindle ensures optimum machining performance at high speed and heavy duty cutting. 3. Higher machining accuracy: For higher accuracy, we provide the thermal displacement compensation system even during a prolonged period of machining and high rigidity machine structure.